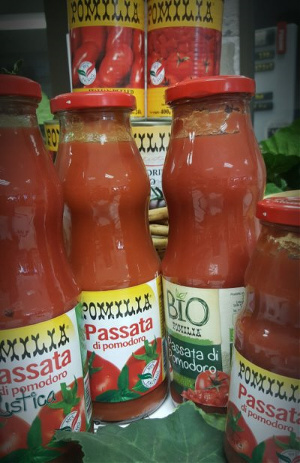 We sell cherry, corbarini, ovalini, chopped, black tomatoes, whole peeled tomatoes, organic tomatoes, Passata and San Marzano tomatoes. 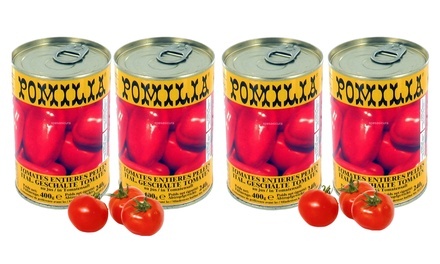 We also sell 400g tins of tomatoes and 2.5kg catering size tomatoes, the passata comes in 700g glass bottles. Our top priority is the "RELIABILITY and GOODNESS" of our products, privileging our RENOWED TRADITIONAL QUALITY over QUANTITY. Our products are selected and processed with care and are subject to strict internal and external quality testes. This allows us to preserve their original nutritional properties, ensuring the high quality that our many loyal consumers increasingly show a preference for. In 1973 Pomilia was born: two brothers, Gerardo and Antonio Salzano, founded what would have become more than just a family-run business. 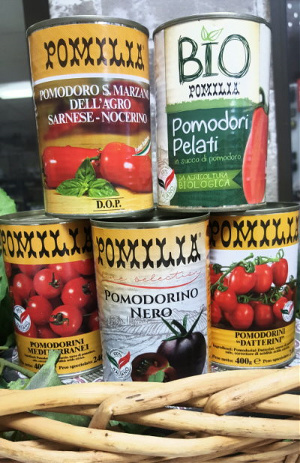 The first factory (10.000 mq) produced Italian Peeled Tomatoes, Legumes, Vegetables, Fruit and Canned Mushrooms. 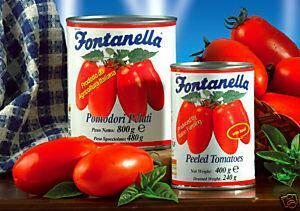 In 1977 new products were added: Mediterranean Tomatoes and Tomato Pulp. In 1978 the line of the “red products” was completed with the Tomato Purée. In 2007, with the acquisition of Galmond, the production plant reached the current size of 37.000 mq. During these years, Pomilia started commercializing Seed Oils (Peanut Seed Oil, Sunflower Seed Oil, Corn Oil and Soy Oil) with the brand Olé and in 2008 it completed its line with the Extra-Virgin Olive Oil. 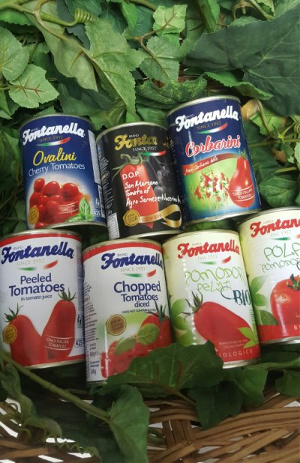 The raw material used to produce peeled tomatoes, diced tomatoes, purée and cherry tomatoes is from Apulia, specifically from the areas around Foggia. Today the company is run by the founders’ sons that have renewed the commitment made 40 years ago: bring to the consumers’ table high-quality products.